The scholarship program does include students wishing to study veterinary science. 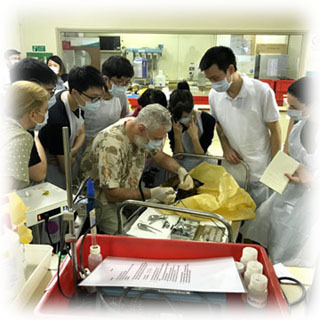 Hong Kong students wishing to study veterinary science at top overseas universities are encouraged to apply. Veterinary Science can be a very rewarding and enjoyable career but even though is can provide a reasonable income it is most likely not going to make you rich. The earning potential of veterinarians is limited by the hours in the day, their level of expertise and the amount of money the public is willing to spend on their pets. Veterinary fees are often seen as being expensive but it should be pointed out that providing veterinary services is also expensive and profit margins are often not as high as in other professions or industries. You are strongly encouraged to do your own research on this subject. As stated above veterinary science can be a very rewarding and enjoyable career but do not enter it as a sure way of becoming wealthy.